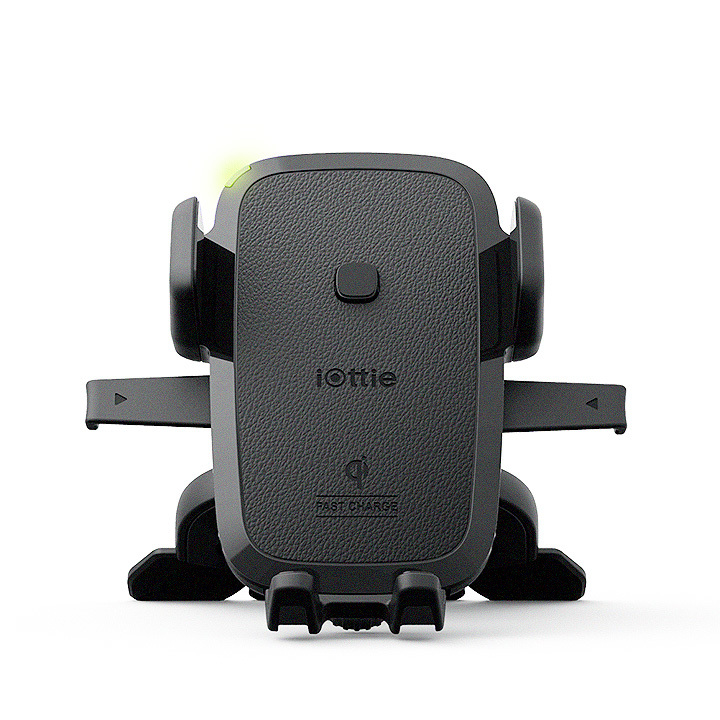 The iOttie Easy One Touch Wireless fast charger CD phone holder is a compact mounting solution designed to safely enhance your driving experience. 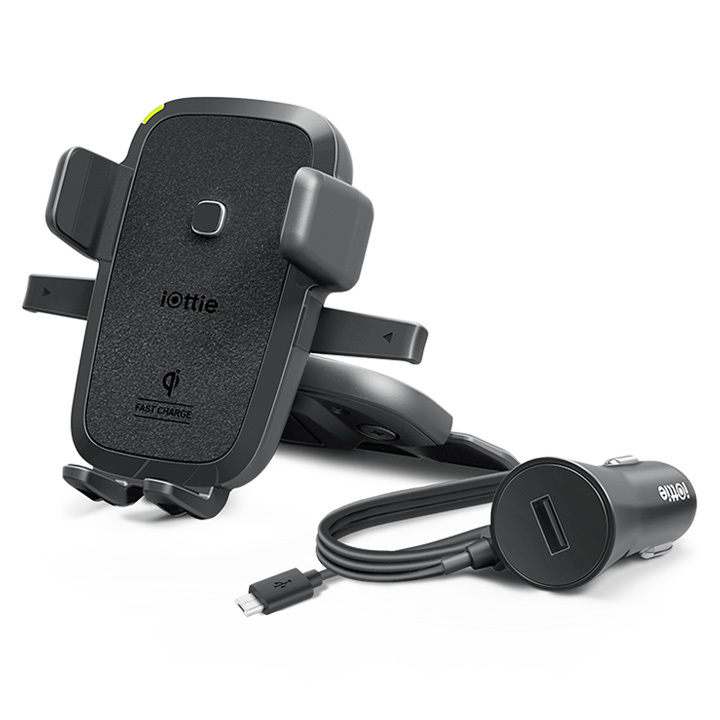 Made for your vehicle’s cd slot, the mount charges your smartphone on the road with the efficiency of Qi Wireless Fast Charging technology. Featuring the Easy One Touch mechanism, you can mount your phone in the CD slot with one hand motion. Install the Qi wireless car charger by simply inserting the soft rubberized connector and locking the mount into the CD Slot. The CD phone holder’s cradle can be adjusted into a safe viewing position to accommodate your driving preference. 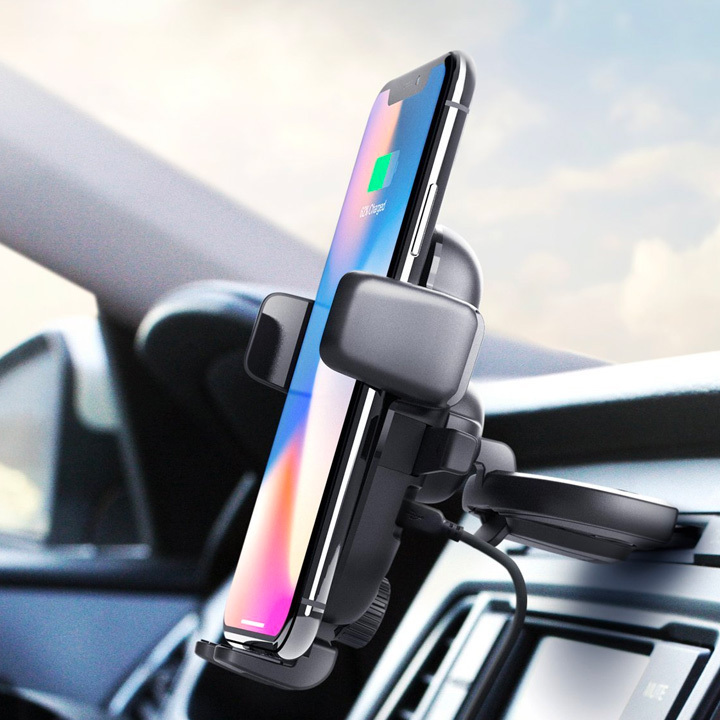 The Easy One Touch Wireless fast car charger CD phone mount is universally compatible with all Qi-enabled smartphones for safer driving on the road. 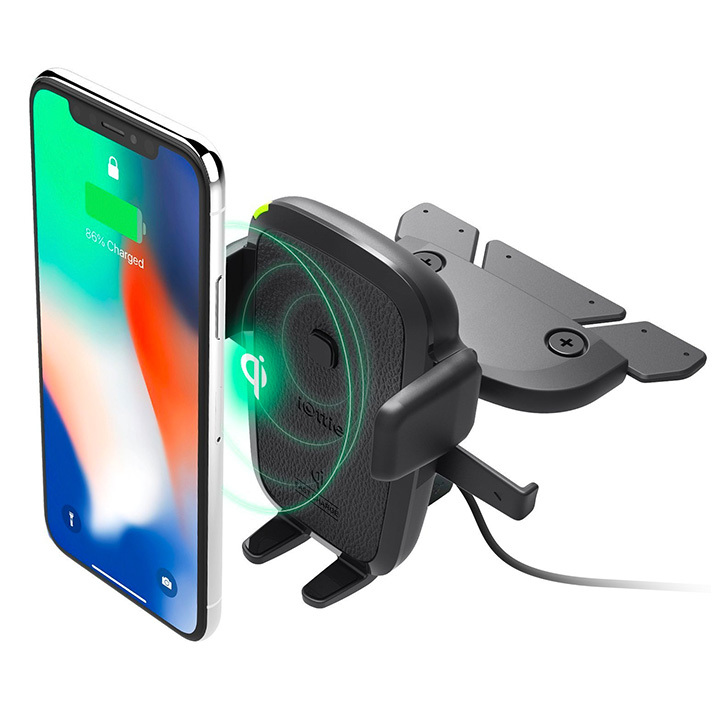 The CD phone holder features Qi Wireless Fast Charging technology to allow you to charge your smartphone 40% faster than a standard wireless charger on the road. This convenient wireless charging feature is activated when you mount your device on the CD slot phone holder’s cradle. The Easy One Touch feature on the CD Slot mount allows you to hold and remove your smartphone quickly in the car. To engage, press the locking side arms and hold the device against the trigger button. When the phone makes contact, the Arms will automatically close to hold and charge your device wirelessly on contact. To install, simply connect the CD Slot connector into the vehicle’s CD slot. 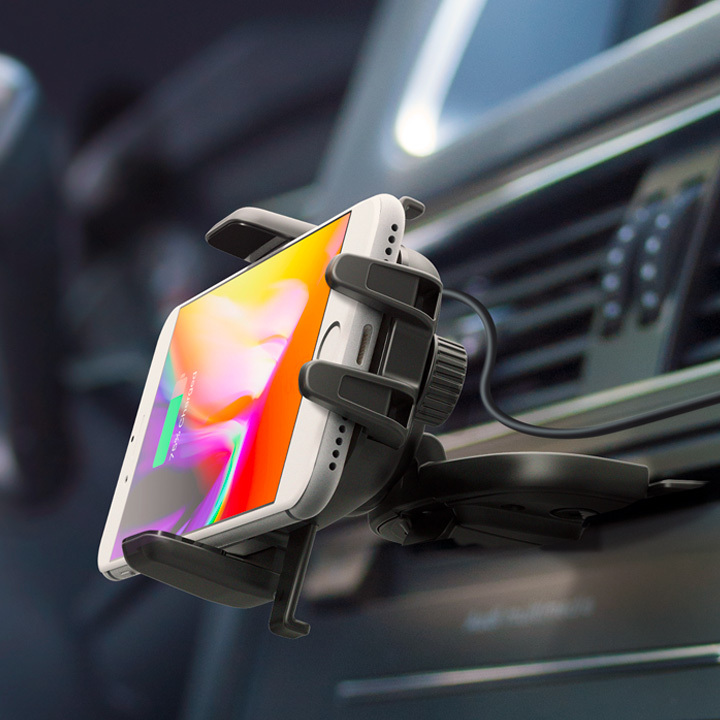 The connector secures the CD Slot mount into place to hold any smartphone while you drive. Set the perfect wireless charging alignment for your device with an adjustable Foot on the bottom of the CD Slot phone holder. 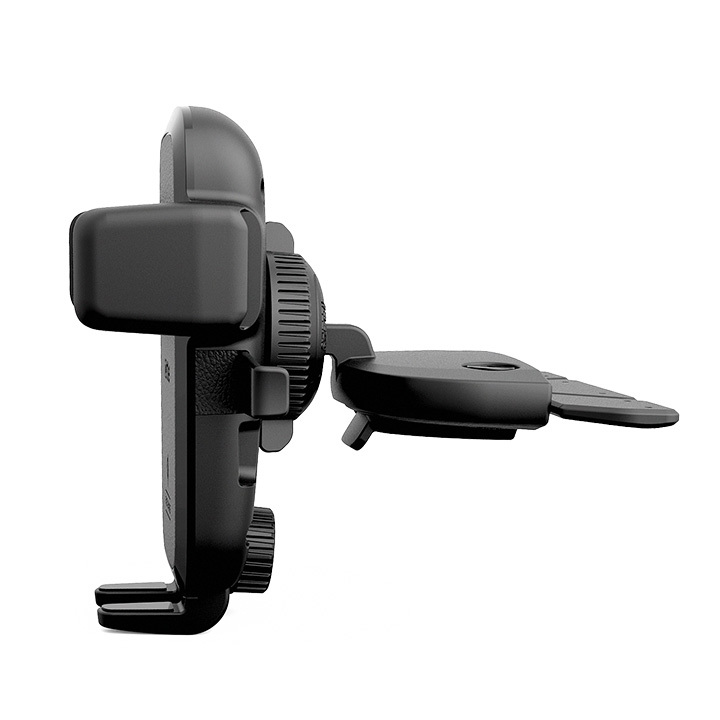 For larger devices that collide with the mount’s side arms, the Foot can be removed for additional compatibility.